All dogs are available to adopt outside of the normal adoption times. If interested in any of the animals, please complete and email us an Adoption Application or Foster Agreement, or fill out the form below to set up a time for us to contact you. Please visit our facebook page on Fridays for our available puppies. Dogs are $325.00 and includes a Microchip. Our puppies are 375.00 and this includes a microchip, all shots and parasite treatment. The fee can vary depending on extra veterinary care that some animals may require. The Dragons were rescued from a home on 11/3/18 in Antioch, Ca. very emaciated and infested with parasites. Vet staff stated if they remained in the situation they were in, they would have not survived the month. They were brought into EBARR’s care and started to gain weight, and treated for multiple parasites. When EBARR started to feel a bit of relief, on 11/9/18 little Falcor broke with Parvo, with a Parvo test to confirm. EBARR started treatment immediately, and by the following day, all 6 were experiencing symptoms of Parvo. We threw everything we had at them; eastern medicine, western medicine, prayers, and holistic healing modalities. Our supporters immediately responded with monetary donations and supplies. The Dragons are strong puppies, that is why their names were chosen. They are still going through Parvo symptoms, however they are handling it as best as can be expected. Follow their story on Facebook. Thank you to all for the support, this is the most effective way to rescue……. as a community. VALEN: Valen DOB is approximately 8/10/18. He is a male, ,mostly black lab mix puppy. He is very sweet and seeks out cuddles and attention from his people. He is not very vocal that we have noticed unless he hears something. He will more than likely fit into any home and will required lots of cuddles and kisses, because he is a sensitive boy. Rhaegar; Birthday is approximately 8/10/18. He gets along with other dogs and likes people very much. He will never allow a UPS person, mail person or a robber get near your door without letting you know. He is sweet and playful. Rascal is approximately 2 years old. He is good with all size dogs. We have even been told that he does not mind cats. He loves people, and is eager to please. He is a big beautiful strong boy who is defiantly a goof ball. P.J. is a curious girl who loves to be out in the backyard. She under a year old with a birth date of around 12/1/16. She is crate trained and fully potty trained. She puts herself to bed around 730 pm and sleeps until about 6am. She is a good girl who gets along with other dogs after she gets comfortable with them. She is a sweetheart. We are looking for a home free from children under 10. For some reason small children make her anxious, however we are working with this issue. She still would need a home free from small children at this time. 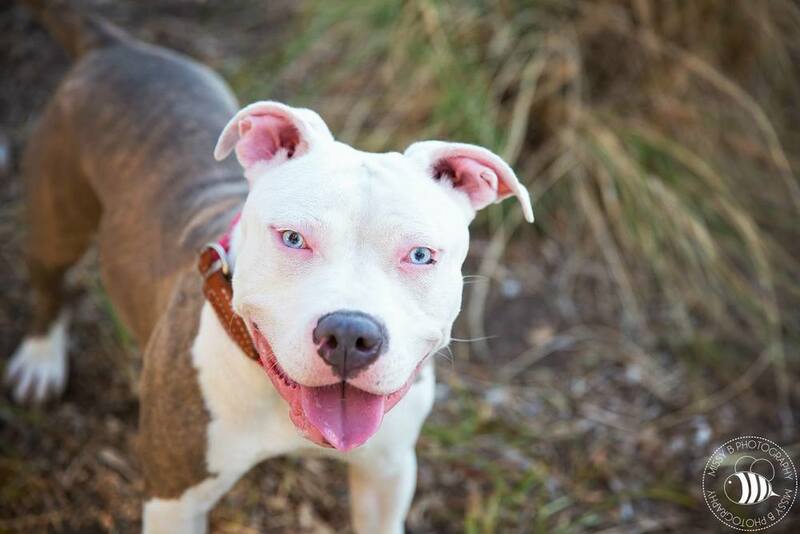 Stella is a beautiful compact pit bull weighing less than 60 pounds. Stella is a very sweet girl who needs an owner committed to training, exercise and love. No small children, small dogs or cats. Stella can be very dog selective and requires a confident handler. Preferably no other pets. Stella loves to play fetch, take long walks, getting in the kiddie pool, and snuggling after playing. If you have any questions about an animal listed, would like to start the adoption process, or set up a meeting, simply fill out the information below.